The Supreme Court addresses systemic employment discrimination questions relatively rarely. In Wal-Mart Stores, Inc. v. Dukes, 564 U.S. 338 (2011), the Supreme Court addressed questions related to systemic pay discrimination claims under Title VII. The Supreme Court's decision contained several significant rulings regarding systemic pay discrimination claims. For example, the Supreme Court explained that statistical aggregation in regressions designed to demonstrate pay discrimination must be structured (1) to evaluate pay decisions of a common decision-maker, 564 U.S. at 350, or (2) to assess whether a common pay decision-making criteria caused a disparate impact in pay, 564 U.S. at 353. I want to talk a little bit today about how we're trying to make a big impact with limited resources at the Department of Labor. I know many of you are concerned about the fallout of the Supreme Court's ruling in Walmart v. Dukes. I told you Pat's office is a vital civil rights agency within the federal government. I think that's especially true in the wake of this ruling. Here's an important point: The Supreme Court's Walmart ruling was limited to class actions under Rule 23 of the Federal Rules of Civil Procedure. But my department's efforts to eliminate workplace discrimination in America don't depend on this rule. We enforce an executive order that says federal contractors can't discriminate. We have oversight over any company doing at least $10,000 of government business a year. This means that Pat's office can obtain class-wide relief for victims of pay discrimination without having to file a class action lawsuit. The Walmart decision won't affect our ability to address pay disparities on a broad scale -- even if our lawyers have to tweak some of their legal arguments based on the reasoning used in that case. - Hilda L. Solis, Secretary of Labor, U.S. Dep't of Labor, Remarks to National Employment Lawyers Association 22nd Annual Convention (July 1, 2011). Secretary Solis's discussion later was reflected in several OFCCP regulatory actions implemented by her successor, Secretary of Labor Thomas Perez. First, in 2013, OFCCP rescinded its 2006 Systemic Pay Discrimination Standards, Interpreting Nondiscrimination Requirements of Executive Order 11246 With Respect to Systemic Compensation Discrimination, 71 Fed. Reg. 35,124-141 (June 16, 2006). However, in the Notice of Final Rescission, 78 Fed. Reg. 13508-520 (Feb. 28, 2013), OFCCP never mentioned the Supreme Court's analyses in Dukes, nor was there any mention of that landmark pay discrimination decision in OFCCP's Directive 307, "Procedures for Reviewing Contractor Compensation Systems and Practices." Another commenter asserts that OFCCP's approach to pattern-or-practice pay discrimination claims is inconsistent with title VII case law, including Wal-Mart Stores, Inc. v. Dukes, 131 S. Ct. 2541 (2011). This comment is outside the scope of the proposed rule, which makes no changes to OFCCP's approach to pattern-or-practice pay discrimination claims. Moreover, the Supreme Court's decision in Wal-Mart was based on the private plaintiffs' failure to satisfy procedural requirements under the Federal Rules of Civil Procedure (FRCP) regarding class action lawsuits. 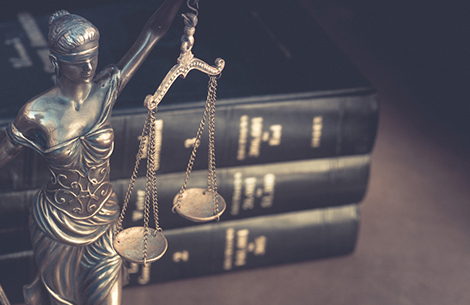 Unlike private plaintiffs, who must prevail on class certification motions to bring suit on behalf of others, OFCCP is a governmental agency that is authorized to act in the public's interest to remedy discrimination. It is not subject to the limitations and requirements of class certification under the FRCP. Nonetheless, to the extent that Wal-Mart addressed principles of title VII law that apply outside the class-certification context, OFCCP follows those principles in its enforcement of E.O. 11246. - 81 Fed. Reg. at 39,126 (June 15, 2016). It is unclear whether OFCCP will continue to suggest the inapplicability of certain of the Supreme Court's pay discrimination holdings in Dukes. OFCCP's new Directive 2018-05 does not mention Dukes, but that may not be a reliable indication of the Agency's position on Dukes because the Directive references only two cases, Teamsters v. United States, 431 U. S. 324, 431 U. S. 336 (1977) and Griggs v. Duke Power Co., 401 U.S. 424,431 (1971). Neither of these cases addressed pay discrimination claims and they appear to have been cited only for their endorsement of pattern or practice claims and disparate impact claims. More indicative that OFCCP will continue to argue the inapplicability of Dukes, however, is the retention in Directive 2018-05 of "Pay Analysis Groups," which are not defined by reference to the framework for statistical aggregation established by the Supreme Court in Dukes. Accordingly, it appears that OFCCP may continue to argue against the applicability of certain holdings of the Supreme Court in Dukes. The legal basis for OFCCP's apparent position is by no means obvious. One point is to be made first, because it will not be the subject of this series of articles: whether Rule 23 requirements are inapplicable to OFCCP systemic discrimination actions has not been authoritatively determined. With regard to administrative proceedings, the OFCCP Rules of Practice, 41 C.F.R. Part 60-30 do not address the issue, but provide that "[i]n the absence of a specific provision, procedures shall be in accordance with the Federal Rules of Civil Procedure." 41 C.F.R. § 60-1. The OFCCP Rules of Practice also permit intervention in the proceedings by private parties "if the final Administrative order could adversely affect them or the class they represent, and such participation may contribute materially to the proper disposition of the proceedings." 41 C.F.R. § 60-30.24(a)(2) (emphasis added). Therefore, the OFCCP Rules leave open the question whether Rule 23 may be applicable during administrative proceedings. OFCCP also cited cases that held Rule 23 to be inapplicable where a statute provided a different enforcement procedure. In its prior regulatory discussions, OFCCP cited as support for its position on Rule 23 an administrative decision in which an administrative law judge (ALJ) ruled that formula relief was available in a hiring discrimination claim, despite the Supreme Court's discussion in Dukes. See OFCCP v. Bank of Am., 1997–OFC–16, Order Den. Def. 's Req. to Strike the Pl. 's Expert Report, & for Recons. of Denial of Req. for Issuance of Subpoenas (ALJ November 2, 2011). While there are good reasons to question that particular decision, it did not contain any analysis of whether Rule 23 applies during OFCCP administrative actions. OFCCP also cited cases that held Rule 23 to be inapplicable where a statute provided a different enforcement procedure. See Gen. Tel. Co. of the Nw., Inc. v. Equal Emp't Opportunity Comm'n, 446 U.S. 318, 325 (1980) ("We do no more than follow a straightforward reading of the statute, which seems to us to authorize the EEOC to sue in its own name to enforce federal law by obtaining appropriate relief for those persons injured by discriminatory practices forbidden by the Act." (emphasis added)); Dep't of Fair Emp't & Hous. v. Law Sch. Admission Council, Inc., 941 F. Supp. 2d 1159, 1166 (N.D. Cal. 2013) ("The principle that has emerged is that where a governmental agency is authorized to act in the public's interest to obtain broad relief . . . and the authorizing statute confers such power without reference to class certification, Rule 23 may not apply." (emphasis added)). With regard to alleged violations of Executive Order 11246, the statute exempting such claims from Rule 23 requirements is unclear. See Chrysler Corp. v. Brown, 441 U.S. 281, 303, 304 (1979) (ruling that the statutory basis for Executive Order 11246 is "obscure"). The fact that OFCCP is an enforcement agency does not answer the question. See Director, Office of Workers' Compensation Programs v. Newport News Shipbuilding and Dry Dock Co., 514 U.S. 122, 132 (1995) ("Agencies do not automatically have standing to sue for actions that frustrate the purposes of their statutes."). Instead of addressing whether OFCCP enforcement actions are subject to Rule 23 requirements, we shall consider in this series of articles the applicability of certain holdings of Dukes to OFCCP enforcement actions, even if it is true that OFCCP systemic pay discrimination claims are not subject to Rule 23 requirements. There is good reason for this focus: the Supreme Court explained in Dukes that "[i]n this case, proof of commonality necessarily overlaps with respondent's merits contention that Wal-Mart engages in a pattern or practice of discrimination." 564 U.S. at 352 (emphasis in original). In the next article, we will examine the origins of pattern or practice claims, the elements of the claims and the relationship, if any, between such claims brought in private class actions and those brought by federal enforcement agencies. In the third article, we will examine the application to OFCCP systemic discrimination claims of holdings in Dukes related to statistical analyses and aggregation. In the fourth article, we will examine the application to OFCCP systemic discrimination claims of holdings in Dukes related to anecdotal evidence of discrimination. And in the fifth and final article, we will explore the implications of Dukes as it relates to the framework for adjudicating back pay relief in OFCCP systemic discrimination cases.